For the PDP, 2018 was a year of relentless battles with the Federal Government and the ruling the ruling APC over the state of affairs in the country. For the Peoples Democratic Party (PDP), 2018 was a mixed grill. It was a year characterised by the good, the bad and the ugly. Like many other organisations, the opposition party had its moments of triumphs and disappointments. The year under review will be remembered as a year, some top shots in the PDP subjected the party to public ridicule; a year, it suffered electoral loses, as well as, a year most of its “lost sheep” returned home. As it is characteristic of every year preceding the general election, most activities within the major opposition party in the outgoing year was geared at preparing for the 2019 general election. The year witnessed endless brickbats between the PDP and Federal Government, as well as the ruling All Progressives Congress (APC). Similarly, the party also did not spare the Independent National Electoral Commission (INEC), as it continually pointed out perceived failings of the electoral body in the preparation for next year’s polls. Orubebe in the letter noted that “PDP is still lost in depression and suffering from a post-traumatic stress disorder (PTSD)… the platform has crossed the bridge from pride to shame. The PDP was yet to recover from the blows dealt it by Orubebe, when former Deputy Senate President, Senator Ibrahim Mantu, dragged the opposition party straight into the mud. Speaking during a programme on Channels Television, Mantu confessed that he used to rig elections for the party. “I don’t have to go and change election (results) but when you provide money, you give money to INEC boys that if they see any chance they should favour you, you provide money to the security (personnel); I tell you it’s not necessarily when I am contesting election but when my party sponsors a candidate, I will like that candidate to win election,” the former Deputy Senate President confessed. For a party struggling to reinvent itself after its loss in the 2015 poll, which was followed by a bitter internal conflict, Orubebe’s attack and Mantu’s confession were blows below the belt. 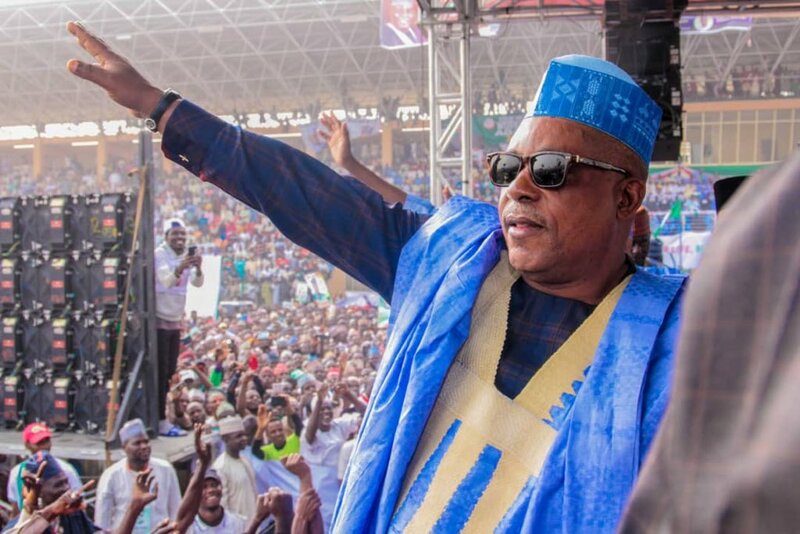 On March 26, the National Chairman of the PDP, Uche Secondus, tendered a public apology to Nigerians, over the party’s past inclination for impunity and imposition, which, probably, resulted in its loss at the 2019 poll. Speaking at “a public discourse on contemporary politics and governance in Nigeria”, organised by the party, Secondus begged Nigerians to forgive the PDP, its past wrongs, noting that it has learnt its lesson. According to him: “In the past, there were impunity and imposition; we are not spirit. We have to be humble to apologise for imposition, impunity and other wrong doing. While in government, there was no nepotism, but today nepotism has been taken to the highest level by this government of APC. The public apology generated diverse reactions in the polity, with the APC mocking the opposition party over it by urging Nigerians not to accept it. Regardless, the PDP National Publicity Secretary, Kola Ologbondiyan stated that the apology was principally because it was the mistake of the opposition party that gave rise to the present administration, which he described as anti-people. “It is imperative to further state that our apology has to do more with the fact that we made certain mistakes that allowed an anti-people movement to take over governance in our country,” Ologbondiyan stated. However, as the PDP was still trying to contain the effects of the Orubebe and Mantu assaults attacks on its reputation, and possibly gain some political capital from its public apology, the government launched another offensive against it. Speaking at a press briefing in Abuja, the Minister of Information and Culture, Alhaji Lai Mohammed released what he titled a list of “looters,” comprising majorly of PDP leaders, including Secondus. The minister challenged the opposition party leaders to return the alleged loots, if they truly wants forgiveness from Nigerians. Mohammed said: “Well, I am sure they know that the treasury was looted dry under their watch. Yet they decided to grandstand. This shows the hollowness of their apology to Nigerians. “This list is just a tip of the iceberg, and the PDP is aware of this. We did not make these cases up. Many of these cases are in court and the records are available. Some of the people on this list are seeking plea bargain, and that is a fact. “We insist that Nigeria was looted blind under the watch of the PDP, and the starting point in tendering an apology is for them to return the loot. The PDP National Chairman was to later sue the Federal Government over the “looters’ list”. The PDP did not do well in the governorship elections held in the course of the year. On July 14, the party lost Ekiti State governorship election, as its candidate, Olusola Eleka lost to the APC candidate, Kayode Fayemi. Prior to the election, some PDP chieftains, including the party’s immediate National Publicity Secretary, Dayo Adeyeye, had dumped the opposition party for the APC in protest over the emergence of Eleka as PDP’s standard bearer. Also, the opposition party’s moves to regain Osun State did not materialise, as its governorship candidate, Ademola Adeleke lost the contest, after a controversial rerun election in some parts of the state. The PDP candidate was leading after the main Osun governorship poll, which held on September 22, with 353 votes after polling 254,698 against 254,345 scored by Gboyega Oyetola of the APC. However after the rerun in seven units, five days later, INEC declared the APC candidate, winner of the governorship poll, amidst protest by the opposition party and its supporters. For the PDP, 2018 was also a year of relentless battles with the Federal Government and the ruling the ruling APC over the state of affairs in the country. The opposition party took its battle against the government a notch higher in April, when it petitioned the United Nations Secretary General, Antonio Guterres, over alleged anti-democratic tendencies of the Muhammadu Buhari-led administration. Armed Forces, the Nigeria Police and other security organisations, to truncate Nigeria’s democracy. “The President and his administration are too desperate to retain power against the wishes of the Nigerian people who are groaning under the yoke of the misrule of the government in the last three years. In the course of the outgoing year, some top PDP shots who left the party for the APC, prior to the 2015 general election, returned to the fold. They include Senate President, Bukola Saraki, Speaker House of Representatives, Yakubu Dogara, former governor of Kano State, Rabiu Kwankwaso, Governors Aminu Tambuwal, Samuel Ortom, and Abdulfatah Ahmed of Sokoto, Benue and Kwara states respectively. The return of the PDP top shots started majorly on July 24, when in one fell swoop, 32 members of the House of Representatives and 14 senators dumped the ruling party for the major opposition party. Many more lawmakers, especially in the Green chamber, have equally joined the PDP, since July 24. The return of Saraki and Dogara to the PDP gave the party control of the leadership of the two chambers of the National Assembly, while it itched close to becoming the majority party in both the Senate and House. Similarly, return of Tambuwal, Ortom and Ahmed increased the tally of states controlled by the PDP to 14. However, the opposition party’s biggest achievement in 2018 is, perhaps, the successful conduct of its national convention to nominate its candidate for the 2019 presidential poll. The presidential primary was contested by former Vice President, Atiku Abubakar; Tambuwal; Saraki; Kwankwaso; Gombe State governor, Ibrahim Dankwambo and former Jigawa State governor, Sule Lamido. Others were former Kaduna State governor, Ahmed Makarfi; former Minister of Special Duties, Taminu Turaki; former Sokoto governor, Attahiru Bafarawa; former Senate President, David Mark; former Plateau State governor, Jonah Jang and Senator Datti Baba-Ahmed. Prior to the presidential primary, which held from October 6-7, in Port Harcourt, the Rivers State capital, and won by Atiku, not a few had expressed concerns that the outcome of the exercise might lead to an implosion in the opposition party. In his immediate reaction to the outcome of the convention, Secondus had stated that it signals the beginning of the opposition party’s journey to regain the presidency in 2019. According to him, “By the Port Harcourt successful outing, the party’s journey to Aso Rock villa has begun in earnest and I urge all hands to be on deck until the country is rescued.